A year ago I saw Josh Hitchens one man play "Guilty but Insane" when it was being workshopped. 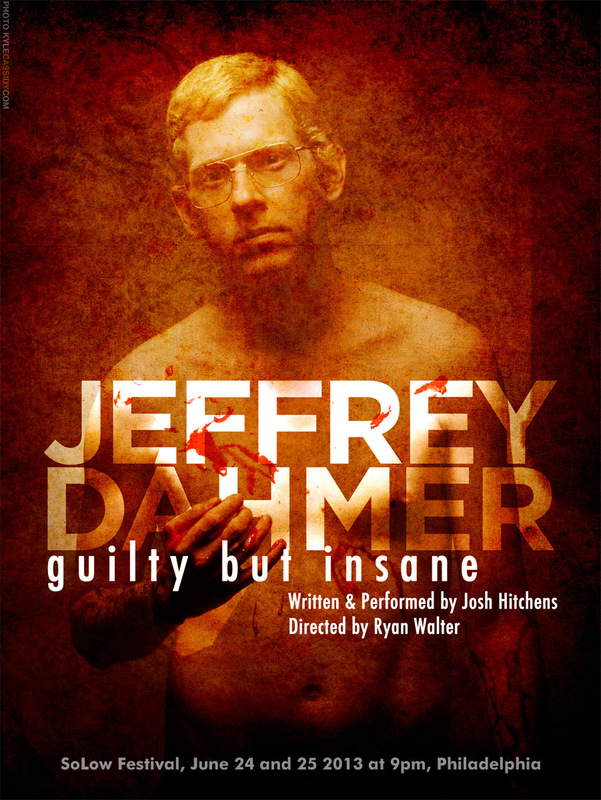 It was an extraordinarily powerful play -- just a monologue by serial killer Jeffery Dahmer explaining, pretty matter of factly what his life was like. I was really impressed by the complete transformation Josh made during the play, he looked completely different even though his entire costume was a hairstyle and a pair of glasses -- his whole manner changed. It was pretty easily the creepiest play I've ever seen. One person fled the theater about an hour into it. Anyway, I knew it was something that I was interested in working on and that I thought I'd be able to do justice to. So this year it's part of the SoLo festival in Philadelphia and I got my chance to work on the promo poster. It's playing Monday and Tuesday of next week. Here's the Facebook invite. It's a remarkable play. You ought to see it. Wish I was in Philly Mon/Tues. Some actors do this transformation seamlessly. The best can do dozens in a few hours on-stage. He does a one-man version of Dickens' Christmas Carol every few Decembers, alternating between London & NYC. For theatre charities. Just a few props on a dark stage. No wigs. No costume changes. Just actor-craft. Worth keeping an eye out for. My that is some excellent lighting. Whoever held it must have been a handsome expert. If I could get down to Philly, I'd definitely come to see the show. I'm always interested to see actors who immerse themselves so totally in a role they're able to transform into the character, and if a show can drive an audience member from the theatre with just monologue (that isn't loaded with vulgarity and gratituitous gore and such), I'm intrigued.